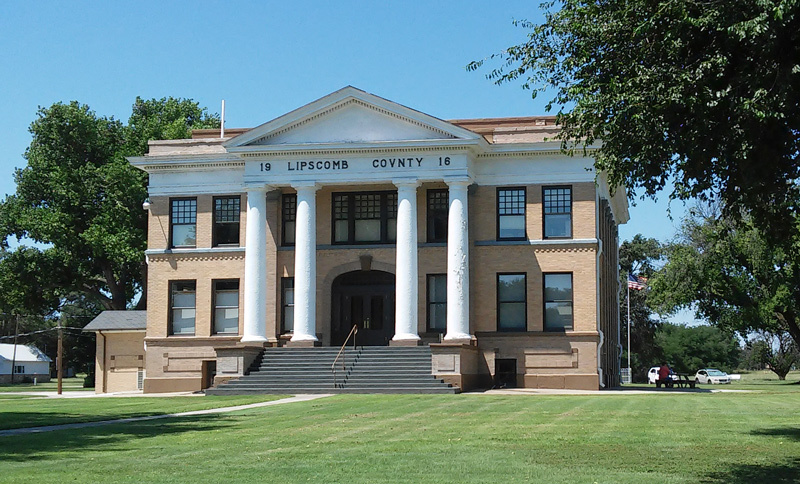 Soon after its establishment in 1886, Lipscomb County designated Lipscomb as the county seat. Initially, a one-story, wood frame building served as the county courthouse. However, in 1915, county voters approved the issuance of bonds for a new, larger courthouse to serve the governmental functions of the growing county, which had tripled in population. William M. Rice of Amarillo was selected as both architect and general contractor for the project. 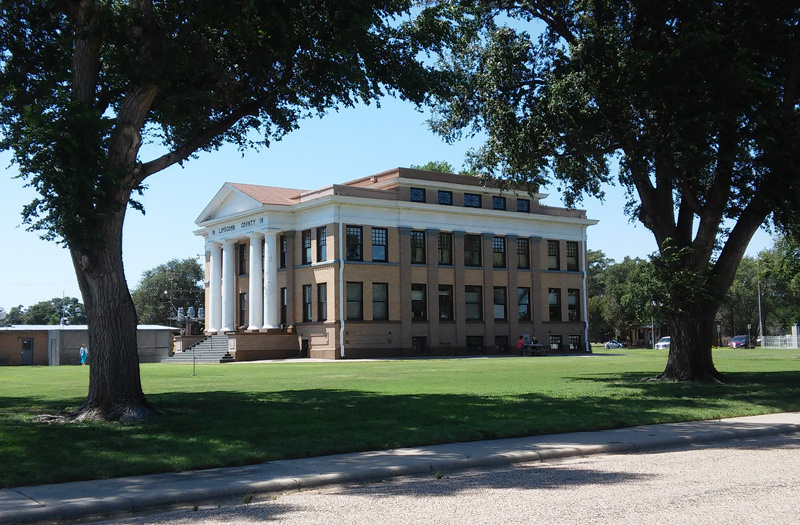 Rice designed the new Lipscomb County Courthouse in the Classical Revival style, with defining features such as the arched doorway and the triangular pediment supported by Doric order columns over the entrance. Design and construction took place primarily during 1916, with final details completed in early 1917. 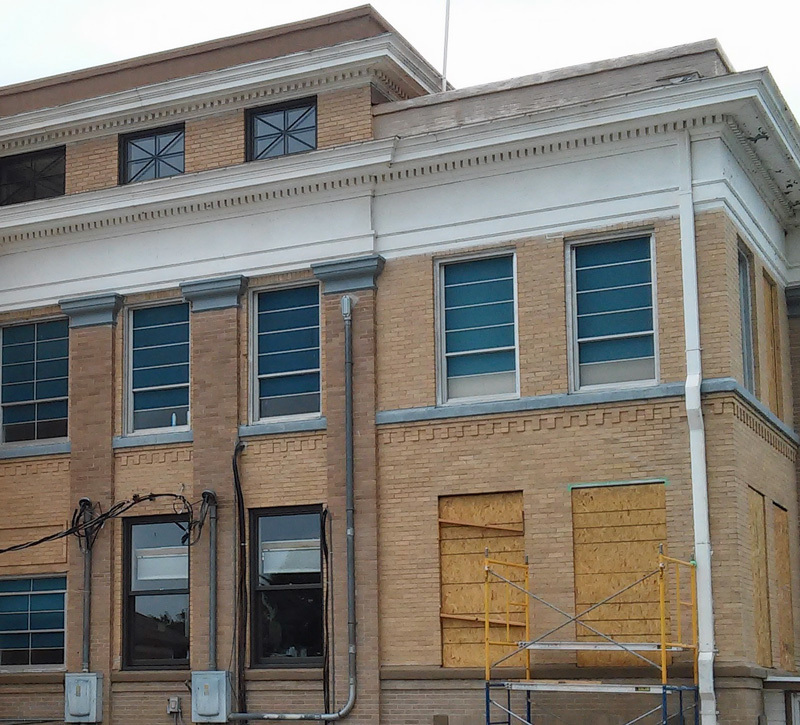 In 2014, Lipscomb County was awarded a $450,000 grant through the Texas Historical Commission’s Texas Historic Courthouse Preservation Program (THCPP) for emergency repairs to the courthouse. 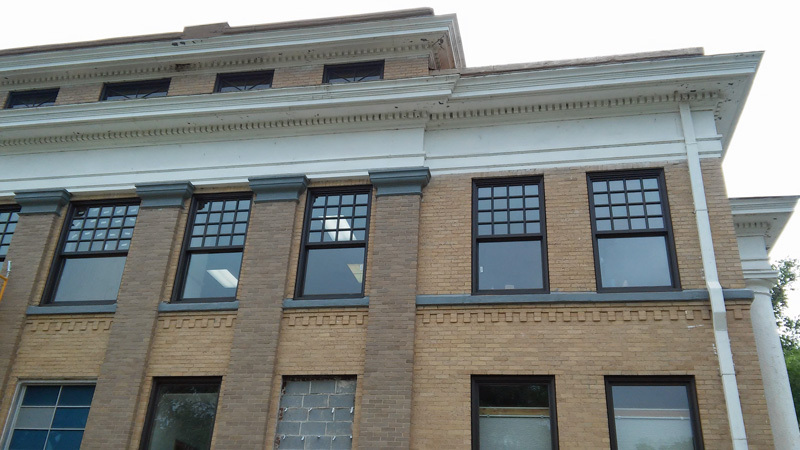 The grant allowed for removal of drafty, poor-quality aluminum replacement windows and installation of new replica “sixteen over one” divided lite wood windows that match the historic versions. In addition, new weather stripping provides a barrier to the cold winter winds and offers a better working environment. 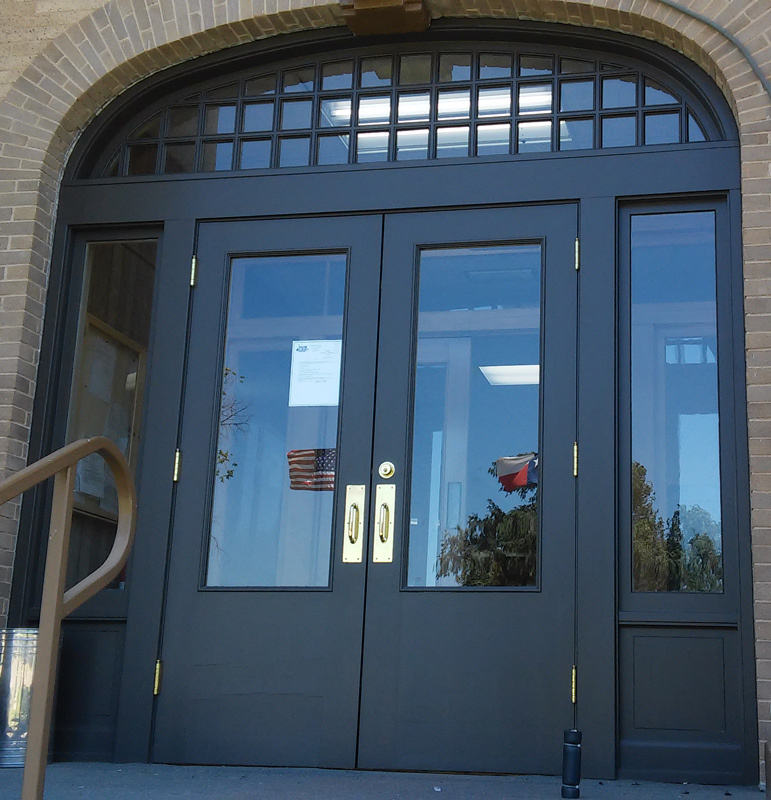 The project also included new wooden double door assemblies at both entrances to replace the current aluminum ones. 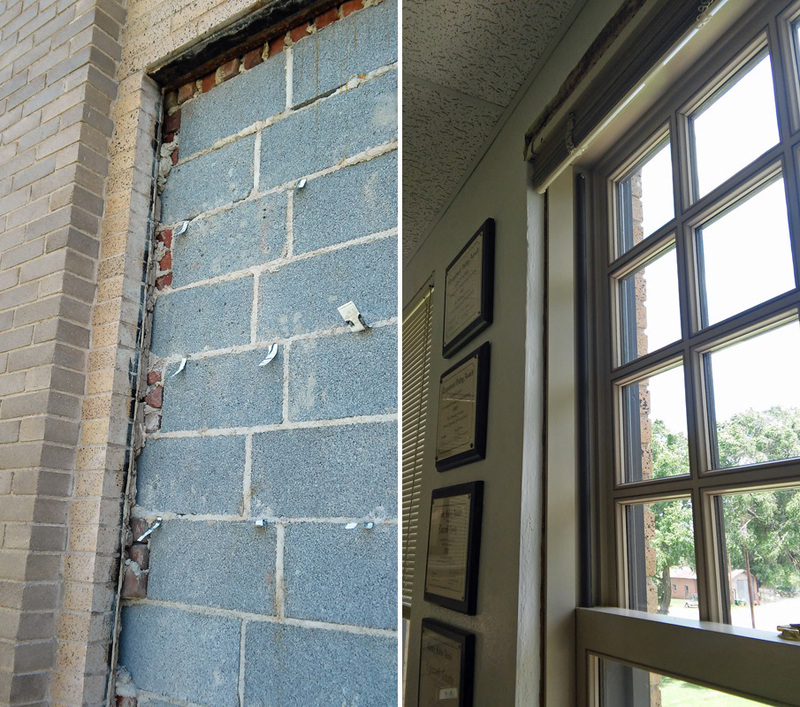 The county hopes to have the courthouse undergo a full restoration and is currently preparing drawings for the Round 9 grant cycle application. 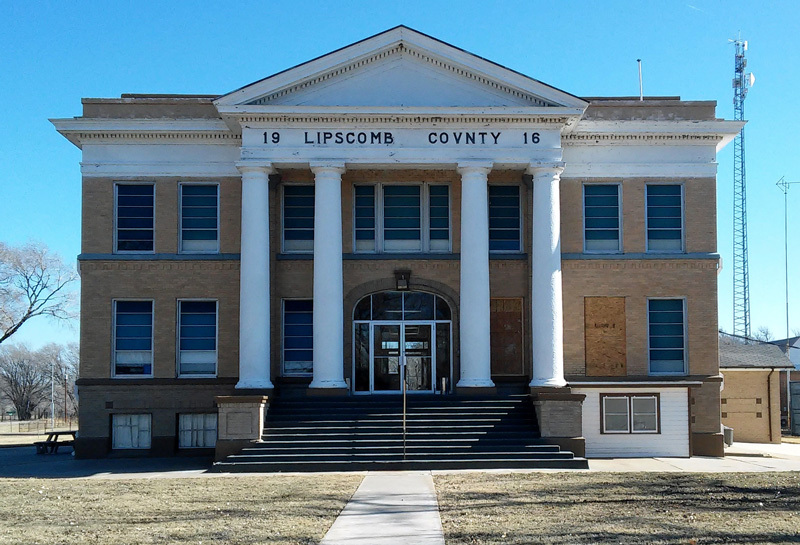 Despite its status as the smallest town in the county—largely the result of being bypassed by the railroad—Lipscomb still remains the county seat. 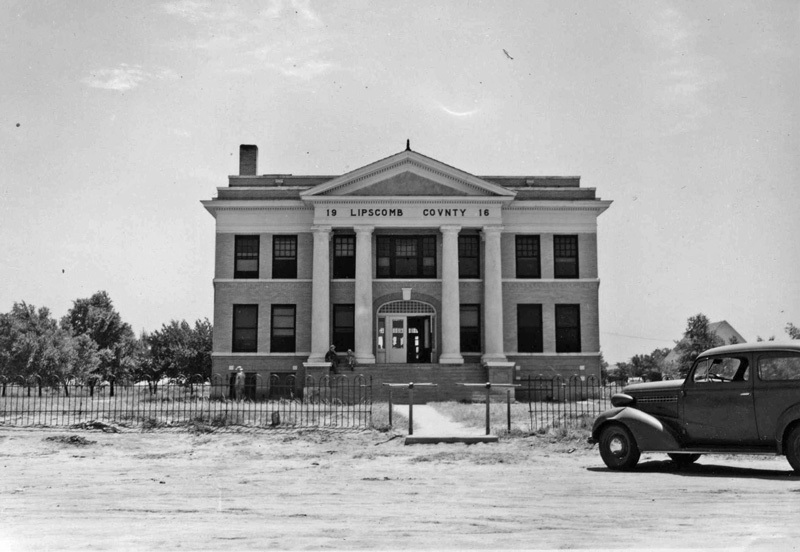 Designated a Recorded Texas Historic Landmark and State Antiquities Landmark, the Lipscomb County Courthouse dominates the town site, and continues to function as the center of government and politics for county residents today. Lipscomb County Courthouse before restoration work.